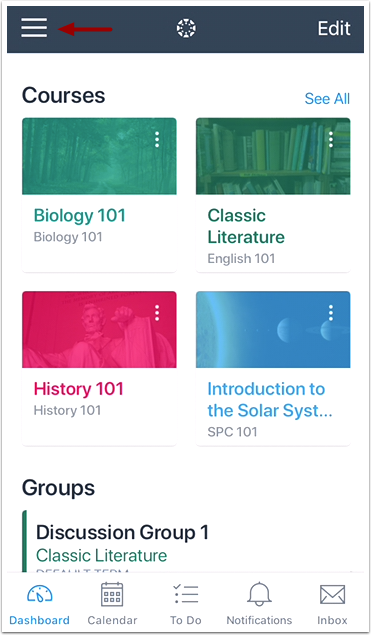 You can reference the Canvas Guides and get help directly on your mobile device. This lesson outlines the five default help links that may be included in the Help menu for your institution. 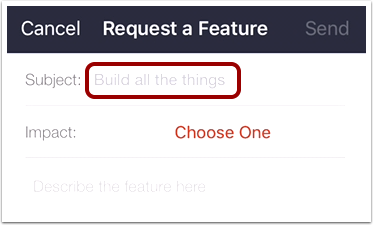 However, your institution may customize the Help menu to hide default links and create custom links as resources. 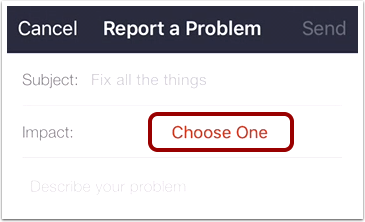 If you encounter a problem in the Canvas Student app, tap the Report a Problem button. 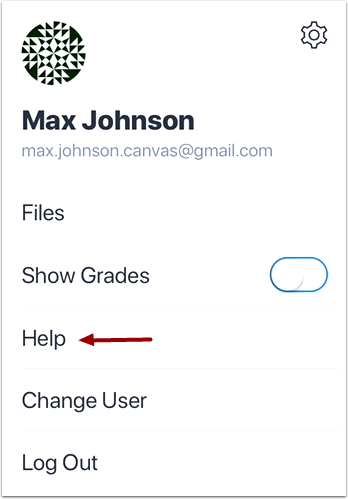 The Canvas Student app automatically creates a message that includes your Canvas URL and the version of the Canvas Student app you are using. 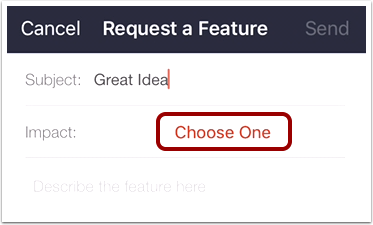 If you have a feature you'd like to see in the Canvas Student app, tap the Request a Feature button. 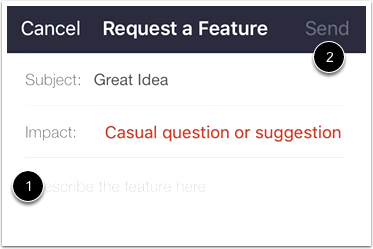 The Canvas Student app automatically creates a message to the mobile team. 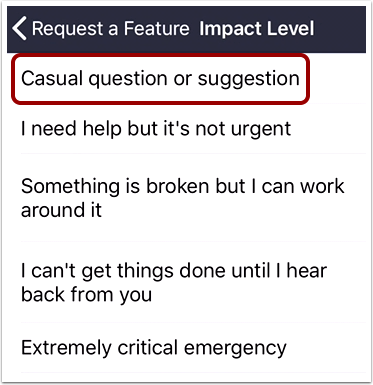 Tap the Casual question or suggestion option. 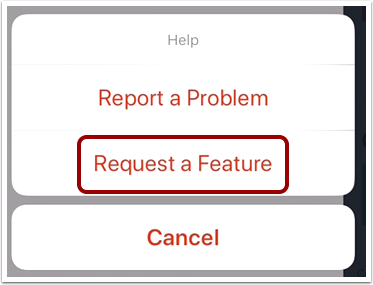 Previous Topic:How do I log out of the Student app on my iOS device? Next Topic:How do I switch to another account in the Student app on my iOS device? 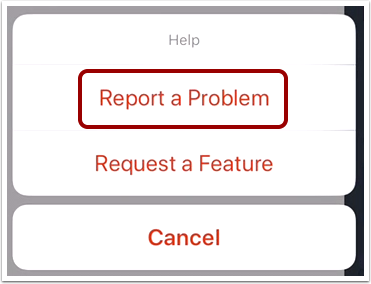 Table of Contents > General Information > How do I get help with the Student app on my iOS device? 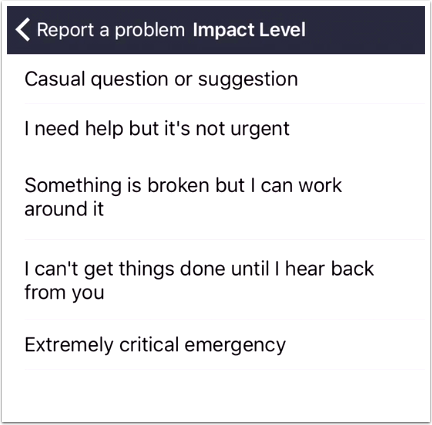 Re: In the past month, I continously have students who receive the following message. It usually only 3-4 students per class period, not all students are receiving this message. 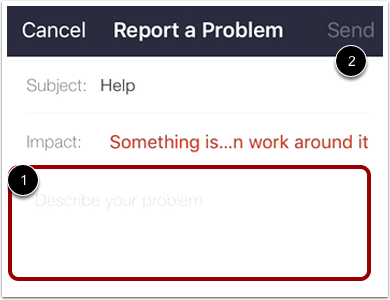 Why are some receiving this error and not all? 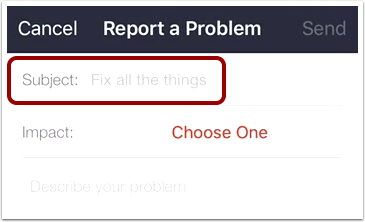 Re: Where to report iOS Mobile App issues?